With our newsletter you are always informed about vital substance trends, new products and exciting experience reports. Sign in! We will inform you about new and adapted products, invite you to seminars, report on current trends from the world of vital substances and share experience reports with you. 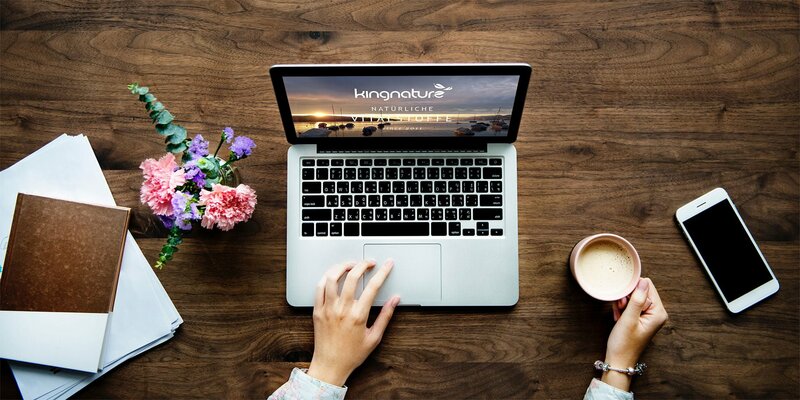 We also inform you about general innovations and changes at kingnature. The newsletter is sent every 6 to 8 weeks. The frequency depends on the topics. The newsletter will be sent by Cleverreach. This online tool also stores e-mail addresses and other information for sending and analyzing the newsletters. You can find out more about this in our privacy statement. You will receive a double opt-in e-mail asking you to confirm your registration. You can unsubscribe from the newsletter at any time (so-called opt-out). You will find a unsubscribe link in every newsletter or double opt-in e-mail. Detailed information on the transit procedure and the statistics, as well as your options for revocation, can be found in our privacy statement.